In the wake of a shocking lawsuit against the school, one student reporter investigates how the prestigious university is reacting, and what it’s really like to be a struggling student on campus. In August, the New York Times reported on a lawsuit brought against Stanford University by the Disability Rights Advocates, a non-profit organization representing a group of Stanford students who felt they had been discriminated against by the university. They claimed that the University had effectively forced them to take a leave of absence when they were feeling suicidal, and had been brought to the hospital against their will, often in handcuffs. Although the story shocked the national audience, many Stanford students thought it was about time the University’s mental health practices were brought under the spotlight. As a Stanford student myself and an intern at Thrive, which focuses on improving mental well-being, I thought it would be a good idea to shine a light on how Stanford approaches the mental health of its students on a day to day basis. Ostensibly, Stanford has a number of resources on campus for dealing with mental health issues. The primary resource is the center for Counseling And Psychological Services (CAPS). But there is also the Bridge Peer Counseling Center, the TItle IX Office, and the Confidential Support Team. Other than CAPS, each of these resources deals with specific issues. 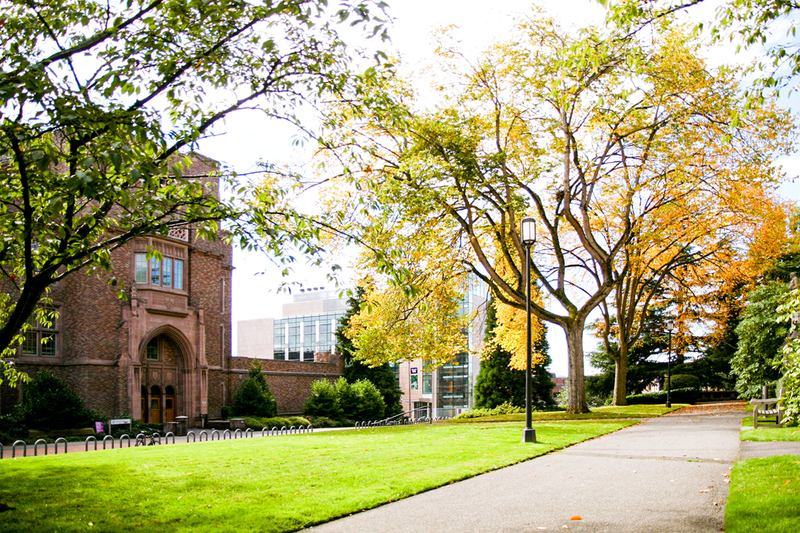 The Confidential Support Team focuses on sexual violence and relationship violence, Title IX acts in instances of sexual assault, and the Bridge Peer Counseling Center offers walk-in support for students, billing itself as a short-term, one-off resource that refers students who need longer-term care to CAPS. Finally, there is the Department of Psychiatry, which operates out of the Stanford Hospital. Sophomore Jennalei Louie, a new co-director of Mental Health and Wellness — a student government role that serves as a liaison between all the mental health resources across the campus, helping them communicate with each other — has words of praise for the Department of Psychiatry, based on her first-hand experience with the mental health resources on campus. “They’re a lot more motivated to help, [and] a lot more understanding.” than the other facilities, she says. Francis Aguisanda, a PhD student in BioScience, says he also received excellent care while he was there. Six days after he voluntarily entered the hospital for suicidal ideation, he was released to a group therapy session in Palo Alto, while also being assigned a social worker to help him navigate through the transition period. Similarly, the Confidential Support Team is well-regarded on campus. Louie says when CST advocated for her, she was able to get a therapist at the Department of Psychiatry in much less time than she had originally been told it would take. However, CST can only serve a relatively small part of the student population and despite its benefits, the Department of Psychiatry remains a heavily underutilized resource. “The system is so disjointed that most students don’t even know about the outpatient clinic there,” says Louie. The Psychiatry Department rests under Stanford Medicine, a separate entity from CAPS and the other wellness resources on campus. Because of this separation, says Louie, the people at the Department “don’t understand anything about the Stanford mental health system, despite being a 10 minute bike ride from campus,” she says. And many students don’t even know it exists. For most students, the first port of call for mental health related issues is CAPS. As the main mental health resource on campus, it provides counseling as well as psychiatric care. But due to limited resources, CAPS cannot provide long term therapy. Instead they impose an eight session limit on the number of times a student can attend therapy in one year. After they reach that limit, students are referred to a private therapist, usually in Palo Alto, a 15 minute bike ride away, although sometimes they are sent out further out to Menlo Park and other neighboring towns. This can be a serious problem for many students, since they have to organize the appointments themselves, get there themselves, and unless they have the University’s health insurance, they have to use their own, all while still attending classes and staying on top of homework. “The idea of having to leave campus to seek care while depressed, I don’t think it would have happened,” says one student who spoke on the condition of anonymity. “I didn’t get out of bed for a long time, so there’s no way I would have made it to therapy off campus.” The student has been visiting CAPS for help with disordered eating and anxiety, but at the time of this interview had not yet reached the appointment limit. The struggle to get an appointment at all with a CAPS therapist is frequent complaint among the students. Last year, the Director of the Vaden Health Center, the overall student health center on campus, where CAPS is located, told the Stanford Daily that although wait times for appointments at the beginning of quarters are typically short, they can stretch to two or even three weeks as the quarter progresses. “The university is definitely aware of [the long wait times]. Enough people have raised enough flags,” says Agarwal. One look at the CAPS website makes it clear why such long wait times exist. At the time of this article, there were 34 mental health caregivers listed on the site to care for a student body of over 16,000 people. “CAPS is understaffed and underfunded,” Louie explains, “so there’s a very quick turnover rate for therapists and other mental health professionals who work there.” The core issue, she says, is that “the upper administration of Stanford isn’t willing to give more funding to CAPS, even though my organization is trying to request for it. They’re saying the system needs to be changed from within and it’s not a matter of money, but the problem is that we can’t necessarily change the system without the funding to do so,” Louie says. When asked for this story if the new CAPS director planned to hire any new staff, the university spokesperson, Ernest Miranda, declined to comment, and instead pointed towards a public message from the director, which did not reveal whether she intended to hire more staff, nor did it reveal CAPS’ budget. This status quo can be quite damaging for students with long term mental health issues. “[CAPS] is supposed to be about getting mental health care before you need it, but many times it just deals with crises as they occur,” says Louie. The result of this is that people who may have been dealing with serious issues for a while don’t get prioritized. “They don’t get seen because they’re not suicidal at that moment, which can lead to more critical issues later on,” she says. It does seems strange that a University with a $26.5 billion endowment isn’t willing to commit more money to its students—and won’t do more to fix a glaring problem. When I asked whether the university thought mental well-being was a problem on campus, Miranda, Stanford’s spokesperson, replied in an emailed response: “We know that undergraduate and graduate students struggle with mental health and well-being. That’s because of the pressures of excelling as a student, but also because of the volatile, unstable and changing world we live in. Many also do not feel integrated in our community. Stanford cares deeply about the health and well-being of all of our students, and ensuring strong support for these needs is one of our top priorities in our engagement with students.” Indeed, CAPS’ recent endeavors to embed staff into different community groups on campus is a positive step, says Louie. “I think that having them at community centers really goes to understand the different cultures and the student body on campus.” And as part of his emailed response, Miranda said the administration is continuing to evaluate the Leave of Absence policy. Stanford’s vice-provost for student affairs, Susie Brubaker-Cole, wrote in an administration blog post that she and her mental health and well-being advisory board, made up of students, faculty and staff, will be devising and implementing a new public-health based approach to mental health once this academic year begins, but offered no further details on what that would be. The worst part about this story is that it’s not news to students on campus. So many people already know that CAPS cannot provide long term therapy or that the wait times make it extremely difficult to actually get any care. The purpose of this article is to give people who don’t go to Stanford and who aren’t aware of the struggle that many students go through a glimpse of what that struggle looks like. I hope that whoever reads it might have a better understanding of students trying to manage their mental well-being, and while I believe the way that the university treated the students involved in the lawsuit was despicable, I hope the administration can learn from its mistakes and improve the mental health system on campus. Whether you’re a student struggling on campus, or know a student who is, here are some microsteps to take to bring hope to the situation. “If you know someone who’s going through a hard time, don’t put the onus on them to ask for help,” Horne advises. “A conversation can be life-changing, and you don’t have to be an expert. You just have to listen.” The Active Minds website advises you to follow a system called V-A-R to help a friend in need. We are publishing it here in case it can be of help.